Green Lantern was an ordinary guy from Earth who swore to apply all the possible efforts to protect humanity. Shopify in its turn strives to provide each and every online merchant with everything he or her needs to start selling online right now. However, the most important thing about every hero it’s his superpower. And that is what makes Shopify so similar to Green Lantern. 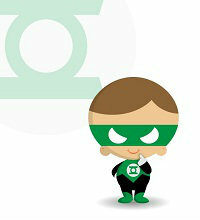 The Power Ring of superhero gave him an opportunity to use his unlimited imagination in order to beat all the enemies. Shopify provides you with the same level of design customization opportunities - your imagination is the only limit. Want to stun your clients with professional look and outstanding style? Shopify is definitely for you: huge number of fancy templates, user-friendly design editor and full access to HTML/CSS files. What is even better Lantern only had to put on his ring to use his powers - as simple as that. Shopify keeps approximately the same high level of simplicity. It is extremely intuitive and easy to use. Finally, same as Green Lantern had his own squad who always helped him in case of emergency Shopify’s support is available to help you handle any issues. Moreover, since the platform is a hosted solution you will be provided with appropriate server to run your store. Shopify will definitely become a superhero for small and mid range stores and online merchants who want to concentrate on selling products not taking care about technical issues. 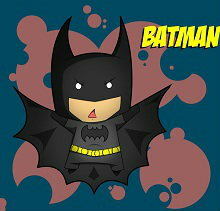 Batman is one of the most popular superheroes in the world. So is VirtueMart cart for eCommerce world. 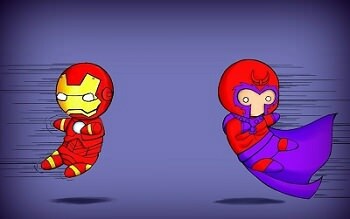 Both have a strong and powerful set of abilities. Batman uses his strengths to save Gotham inhabitants while VirtueMart takes care about merchants all over the world. VirtueMart has a strong arsenal of instruments that includes everything you need to sell online. It supports any type and quantity of products, multiple languages and currencies, various shipping and payment options. Moreover, VirtueMart is an open source solution it means that any additional feature that is not available out of the box can be easily tailored to the platform. It is like Batman’s suit that is constantly improved with different gadgets. creating different static pages, etc. Bruce Banner is a genius scientist who has almost unlimited powers and generally known as Hulk. He can beat an Asgard god and fell out from an airplane without breaking a single bone. PrestaShop shopping cart is a Hulk of eCommerce world. Brilliantly built core and intuitive admin panel with full range of top notch features make PrestaShop cart both scalable and intuitive. PrestaShop is a lot like Hulk. You can benefit from a user-friendly mode to create a unique design, take all the advantages of robust set of eCommerce features (multi-store, mobile commerce, marketing tools, etc.). This green monster can provide you with any possible customization option and provide your business with all the necessary tools to make it successful. However, everyone knows that Hulk has one serious problem - it may be complicated to take a complete control over him. If you want to use PrestaShop facilities to the fullest and enable Hulk mode then get ready to learn coding. 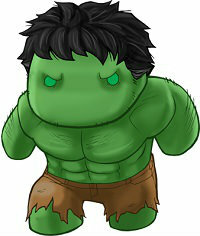 Nevertheless, simple and intelligent Bruce Banner mode is always at your disposal. If you are not fond of deep customization and just searching for an easy to use and scalable solution PrestaShop is exactly what you need. Stylish, intelligent, fast, powerful and brilliantly simple. It’s all about Tony Stark of eCommerce world - BigCommerce cart. Iron Man is an eccentric superhero who made himself and doesn’t afraid to show his real face. highly efficient marketing instruments, etc. All of these and much more are already aboard. Secret weapon of the platform includes facility to set up Facebook and mobile versions of your web shop. Like blasters in Iron Man’s hands make his enemies explode, social network and smartphone presence can sky-rocket your sales. Tony Stark is currently one of the most popular superheroes the same refers to BigCommerce, which in a few years won huge number of users all over the world. If you are searching for user-friendly and powerful solution at the same time consider BigCommerce for your store. Magneto is one of the most respected supervillains. He has strong power and sharp mind that helps him get control in every situation. He often acts like a real hero and known as one of the most contradictory characters. And he seems to be the best equivalent of Magento shopping cart. Magento is currently the most popular shopping platform in the world that powers thousands of online shops. It features each and every function that was listed in other shopping carts above. Even if it is not a default option you will definitely find a proper extension to implement any feature you need. Strongest points about Magento include : unlimited number of products, multi store support, localization capabilities, built in CMS, full customization and much more. However, being the most feature-rich platform Magento remains quite complicated and requires extensive programming skills even to upgrade to a newer version. Some people love the way Magento’s core is created and can be modified, others hate it. Magento is as contradictory as Magneto. In any case it is the most robust and scalable solution with huge and responsive community. And if you take a control over this daredevil you won’t regret on time spent because it can really rock your business. 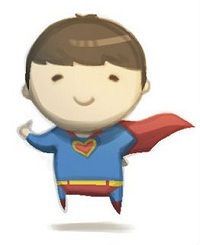 We didn’t mention Superman as it is generally known that Clark Kent is a perfect superhero. Each business is unique and has its own needs so a priori there can’t be a perfect shopping cart. Just think carefully about your company’s requirements and make sure you choose a solution that will solve them like a real superhero.